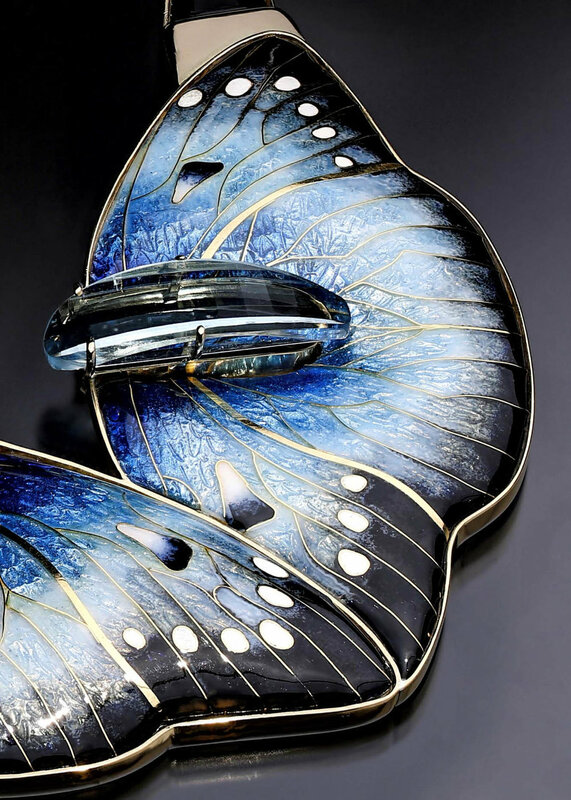 The predominant surface material must be glass-based enamels and may be fired on any type of metal. Artist Statement: I am fascinated by butterflies, their shapes and the profusion of colours they are found in. 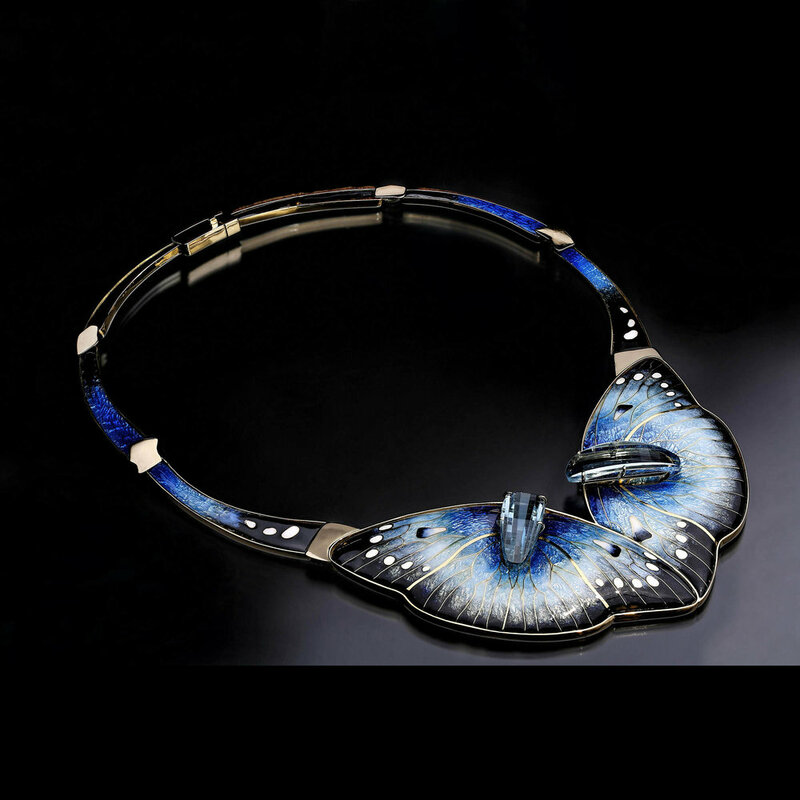 This double butterfly necklace is in the cloisonné technique with subtle opalescence, fine and sterling silver, and 18K, 22K and 24K gold. The stones are faceted blue quartz. It is stamped with the Gold & Silversmith's Guild of Australia marking system and my maker's mark. 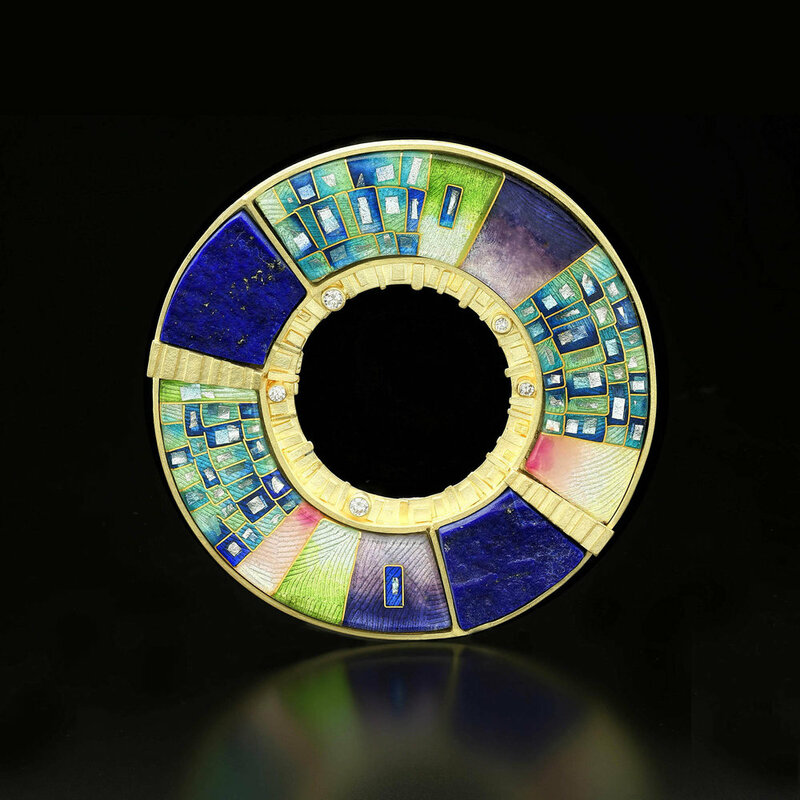 Artist Statement: "Orbit #2 Pin/Pendant" is hand-fabricated from 18k and 24k gold, enamel, lapis and diamonds. Drawing inspiration from ancient mosaics and astronomy images, it is part of a current series merging two keen interests: the past, through the art of ancient times, and the future, through space exploration.